On this day last year, I sat down at the Starbucks on 52nd street and 8th avenue and committed to a rather odd new year’s resolution. I decided that I would visit every single Starbucks on the island of Manhattan and blog about each one. I had been thinking about this for quite sometime, and it seemed liked the perfect solution to combine my desire to explore my new home and my commitment to write more in the year of 2013. And that is exactly what I did. 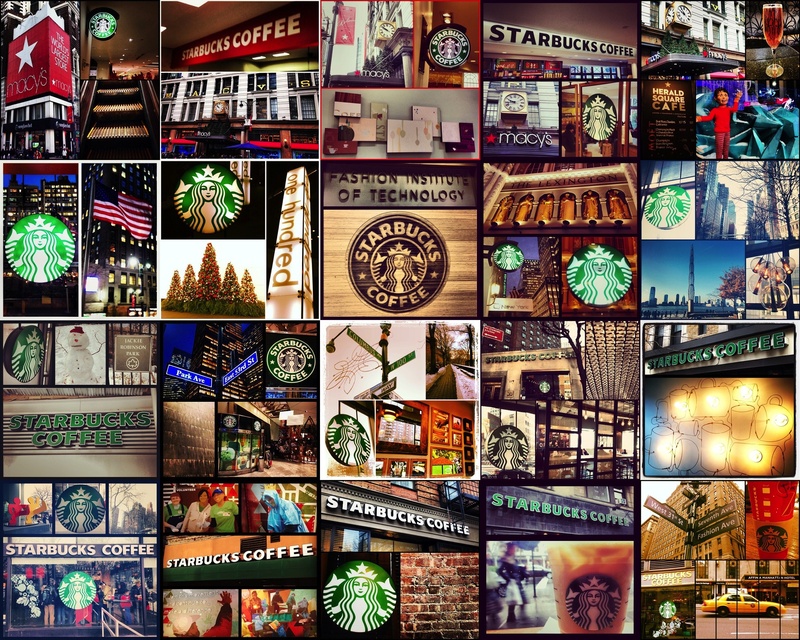 When I started this blog, there were 202 Starbucks in Manhattan, according to a report by the Center for an Urban Future. Now, both according to my records and the Center’s 2013 report, there are 212 Starbucks in Manhattan, New York — 208 of which are available to the general public. For easy reference, I’ve assembled a complete List of all the Starbucks I encountered on my journey. I also created a Map using Google Maps Engine that will give anyone interested a guided tour of some of the best (and worst) Starbucks in Manhattan. So one year, 208 Starbucks and 224 blog entries later, I am back at the Starbucks on 52nd & 8th to collect my thoughts and reflect on the many, many things I’ve discovered in the highly caffeinated year of 2013. This Starbucks hasn’t changed at all from what I remember of it. The chairs are still a mismatched combination of wood and metal, and the crowd is still heavy and touristy. But the person that sat at this Starbucks on January 1st, 2013 has gone through more changes in a year than most go through in five. I live in a new apartment in a new neighborhood. I’ve held four different jobs and changed career paths entirely. I’ve traveled north, west and south. I even found a boyfriend along the way. But, most substantially, I’ve found a home in New York City — which probably means I’ve also become significantly less patient. Oh well, no time to lose sleep over that one. Someone once told me that it takes at least five years of living in the city for someone to truly be considered a New Yorker. I’ve also heard that it’s at that time that you decided whether you will stay in the city or move on. Well, I can’t say I know every nook of every neighborhood or completely identify as a New Yorker, but perhaps my journey this year has shaved a year or two off that time. If I had to sum up my year’s exploration into one fact, it is that the Starbucks of New York City represent more than just the neighborhoods where they are located. They represent the ever-changing state of urban life and the people that are attracted to it. Some may call this gentrification. I also think the term McDonaldization fits quite nicely. So am I saying New York is beginning to resemble one giant fast food chain? Well, partly yes I am. But I don’t see this as a societal problem which needs to be combated, rewound or snuffed out. It’s just a side effect of our collective culture’s desire for speed, consistency and familiarity. And what brand fits that description more than Starbucks. Where some people view Starbucks — and similar corporate chains — as an encroaching threat to all things unique and significant in New York, I see it as only the supply for society’s demand for a familiar cup of coffee — or maybe a frozen espresso beverage topped with whipped cream. And if you go into a New York City Starbucks — whether it be in the East Village or the Upper West Side — you won’t see robotic baristas or Stepford men and women in line. You’ll catch a short glimpse of the characteristics and idiosyncrasies that are unique to that neighborhood. That’s my theory, and I’m sticking to it.